Labyrinth has attained a cult following and although it has been making the rounds for a few years now it's still going strong. We decided to take a closer look and find out what makes this game oh-so-special. More below. Let's not mince words: playing Labyrinth requires a certain amount of patience rather than clammy hands and adrenaline-induced heart thumps. 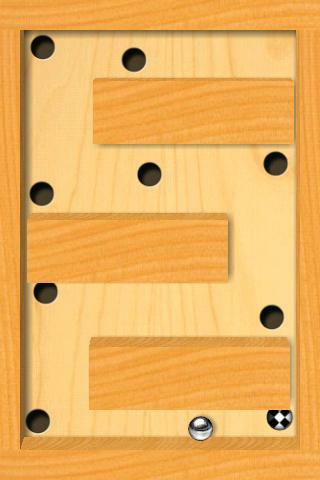 You may be familiar with the gameplay seeing as the app is based on a classic “hard copy” game that involves guiding a small metal ball to the goal by tipping and tilting a wooden labyrinth. Quite a few apps have tried to recreate this relatively simple game concept, but Labyrinth has done the best job, IMO, both when it comes to design and the excellent controls. There are lots of holes and obstacles to avoid, if you don't you will have to start over again. Whenever the ball hits an obstacle a vibrate feature strikes up, making the game feel quite real. 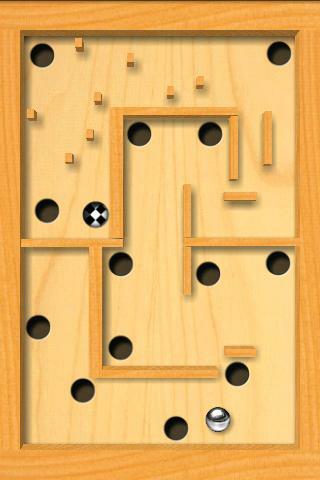 There are two modes to try out: classic (bird's eye perspective) and 3D version (which includes obstacles that can be slid around a little bit). There are over 1 000 levels, which makes for countless hours of gaming. For those of you who are feeling inspired, you can also try your hand at creating your own level of Labyrinth. Labyrinth has become one of my favourite apps. There's something calmingly nostalgic about the feel of this app and it's the perfect game to play when looking to kill time. Graphics are great and with over 1 000 levels even avid players should be kept busy for a while. Labyrinth has a great look to it and if you appreciate slightly old-fashioned toys made from wood you will get a kick out it. The menus are well set up and easy to navigate, and controls are intuitive and easy to use. Labyrinth runs well overall, without lagging or stalling, even when playing on lower-end devices. Labyrinth costs EUR 2.97 and considering that this buys you over 1 000 levels of fun we feel the price is fair. If you're not sure about the app being your cup of tea why not check out the free version that lets you try out 10 levels.